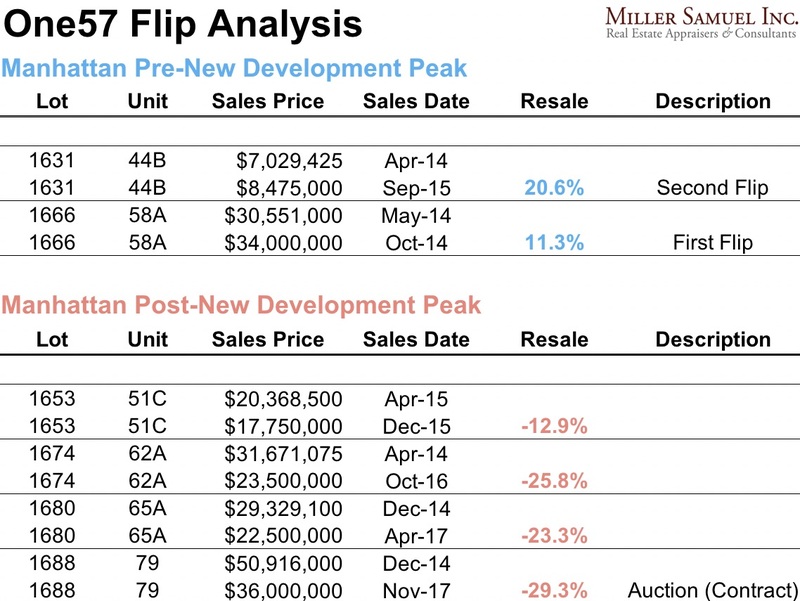 For those of you that read my weekly Housing Notes, you’ll know I refer to 2014 as “Peak New Development” for the Manhattan housing market. “Peak Luxury” works as a label too. The story reached #1 as the most read on the 350k± Bloomberg Terminals worldwide yesterday. It is important to remember that there are still a fair amount of units remaining that are priced at 2014 levels. Extell, the developer, has their work cut out for them to compete with current market conditions. While One57 is a symbolic poster child for the new dev phenomenon, it is not a proxy for the entire new development market. Some projects were priced more reasonably at the peak, hence they haven’t fallen as much. In addition, the quality and design of each project can vary greatly. One thing is clear – since the 2014 peak, investors don’t have the same potential for big and fast returns on flips – their initial strategy was to buy early and realize instant equity as the sponsor increased the offering prices. That scenario no longer applies. 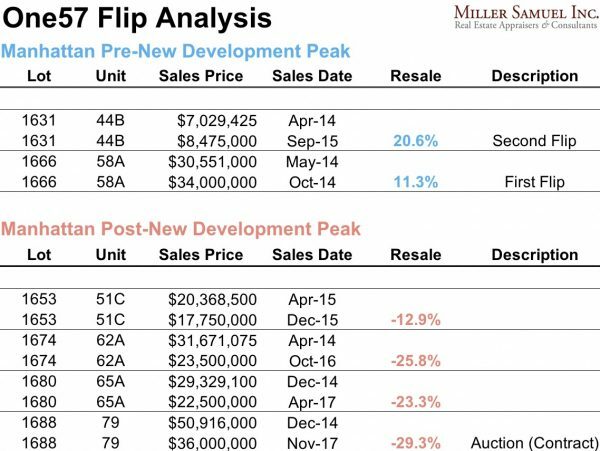 Since the market has more choices for buyers now than it did back during peak, One57 is no longer seen as a “new” building like it was back then. CNBC picked up the story – My firm and I get a shoutout during the conversation on Sqawkbox which was pretty cool. Luxury condo in One57 tower sold in New York City’s biggest ever foreclosure auction from CNBC. And here’s the transcript on yesterday’s PBS Nightly Business Report show (owned by CNBC) with the shoutout that is making the rounds. This particular column blew up the Bloomberg Terminals, becoming the number 1 most read real estate article and the 15th most read of all articles on Bloomberg Worldwide. My Bloomberg View RSS feed.